Both Elena Firsova (born 1950) and Dmitri Smirnov (born 1946) had their music black-listed by the Soviet authorities in 1979. They continued to live and work in Russia, and Alissa Firsova in her article describes their musical life as rich, but in 1991 on a visit to London for the South Bank Centre's Russian festival the two with the two children decided not to return to Russia. Elena Firsova's For Alissa was written for Alissa Firsova when she was 16, it is a set of variations based on a theme from a song (A widow bird sate mourning for her Love, setting Shelley) which Elena Firsova wrote when she was 16. The melody is lyrical yet rather expressionistic, with wide intervals yet using it Elena Firsova creates some lyrically delicate textures. It is an intense, complex piece with moments of deep passion. Dmitri Smirnov has written over 40 works based on the writings of William Blake including two operas. 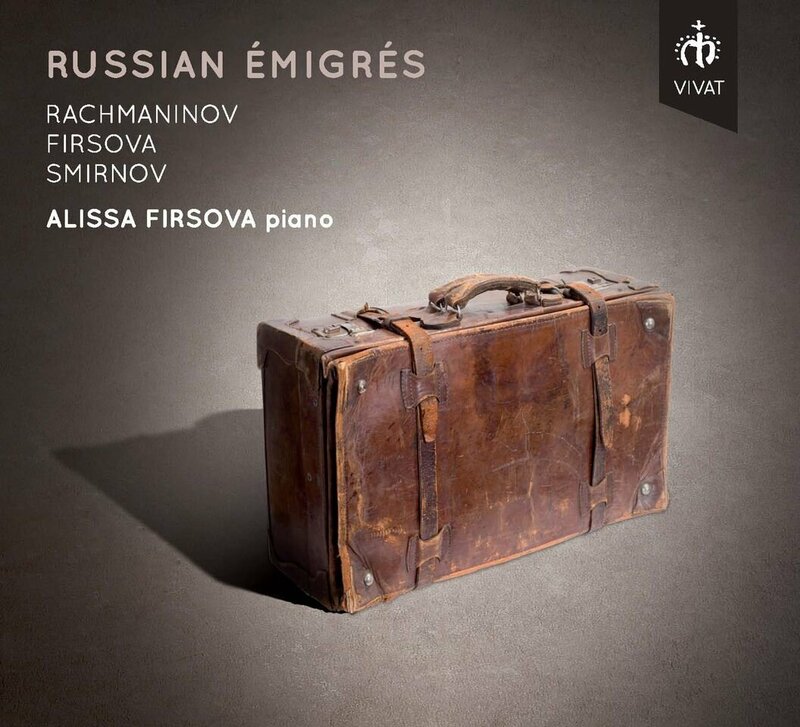 Having performed two of her father's five piano sonatas, Dmitri Smirnov decided to write a sixth sonata for Alissa Firsova. This became Blake Sonata and is intended as a portrait of William Blake. Both Dmitri Smirnov and Elena Firsova studied in Moscow with Philip Herschkowitz, a pupil of Berg and Webern, and this the Second Viennese School influence is folded into the sonata along with a knowledge of Beethoven's late sonatas, with their use of rondo-sonata form. In two movements, the sonata starts with a Lento movement which opens with a delicate texture interrupted by crashing chords. This sense of contrast, with varied textures, continues throughout the movement which is a set of variations on a theme based on Blake's name. It is thoughtful, rather edgy and intense movement with an underlying sense of powerful drama. Highly technically demanding, Dmitri Smirnov clearly had great confidence in his daughter's pianistic abilities. The second movement, Capriccioso, is rather tough (despite the movement's name) and the bravura runs combine to create a vibrant work which seems edgy and full of anger. Yet, Alissa Firsova describes it as an evocation of the poem Tyger, Tyger burning bright! Rachmaninov's Variations on a Theme of Corelli were written in 1931 and it was the only solo piano work that he had written since leaving Russia. Rachmaninov uses a theme from Corelli's La Folia variations, only later realising that the theme was not actually by Corelli. Like the Rhapsody on a Theme of Paganini, Rachmaninov also works the Dies Irae into the piece as well. There are 20 variations which divide into three groupings. Alissa Firsova begins with a relaxed, gentle tempo but with quite a serious intent, and then things hot up and the fireworks start. This is a work which combines strenuousness with delicacy, bravura with gentleness and Alissa Firsova gives a confident, poetic performance. 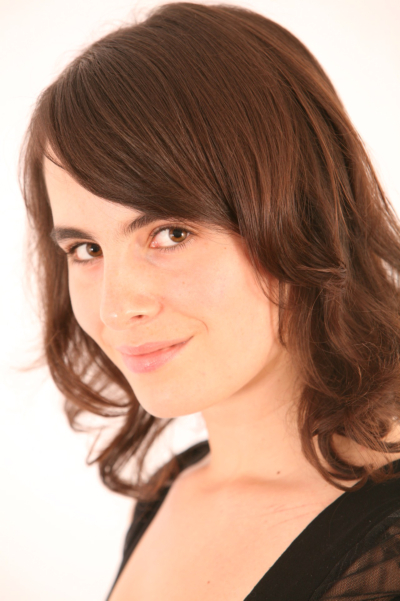 The final work on the disc is one of Alissa Firsova's own. Lune Rouge was written in 2005 for Imogen Cooper at the Cheltenham Festival. It is based on initials, her own and those of her parents, all woven into a short and delightful piece evidently inspired by a trip to Eastbourne! This is an impressive debut recital disc and Alissa Firsova shows a bravura confidence in her handling of Rachmaninov's taxing and large scale piano works. With the Rachmaninov works dominating the disc (45 minutes out of a total of 76), how you feel about the recital will very much depend on how you feel about Rachmaninov's later piano music. But here, the works by Elena Firsova, Dmitri Smirnov and Alissa Firsova make an interesting contrast as well as being woven into a complex family history.